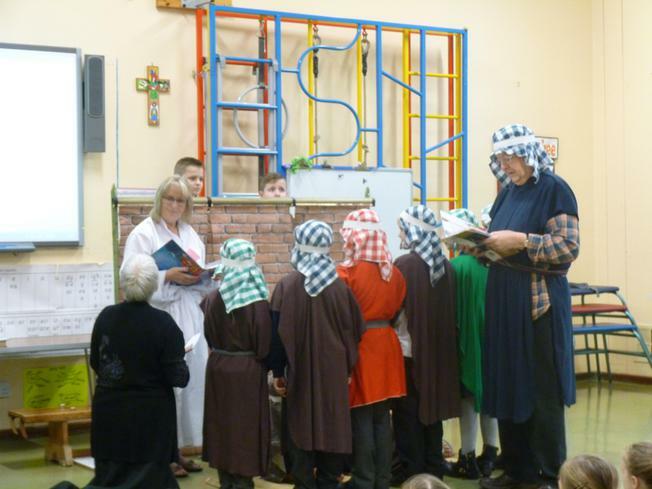 Both schools had another exciting assembly delivered to them from the Open The Book team. 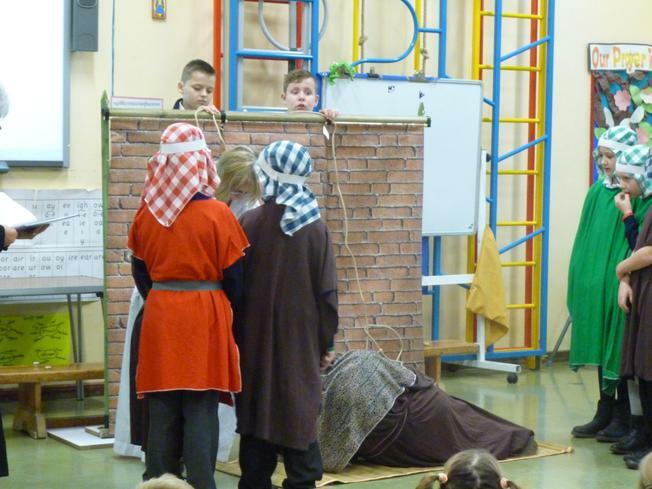 This time the children participated by helping to lower a man through a roof so that he could be healed by Jesus! 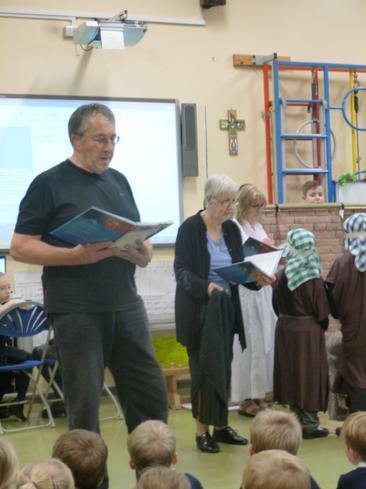 As always the children participated well and were enraptured by the re-telling of the story.